What do you get when you mix boosted airs with street-style jibbing and the biggest indoor bike park in Canada? How about Matt Macduff alone at Joyride150. About f*cking time!!! We’ve missed you Matt!! Still so awesome to see you back! Review Bazooka next? one bike with two rear wheels would be a tricycle, no? yes? maybe? I noticed that also. what would the benefits of a non-freecoaster be in that setting? @noisette: Matt Macduff Tricycle at Darkfest 2020 confirmed? Really good to see Matt back up on his bike. Riding looks good as ever. Shred hard my dude. Was it the one time his front wheel tapped the beam, or when he briefly had both wheels on the wall? He is an amazingly talented rider, but calling a few switch landings "jibs" is an overstatement. Jibbing is what snowboarders called railslides and getting creative with STREET features. I would watch it anyway without the clickbait. it's like watching some old props roadfools. Always a pleasure to watch you man! So glad to see you back on two wheels! I was wondering how long it would be before someone posted that. I remember when I first saw that. WTF... I thought it was kinda funny how Drew was struggling to get into Crankworks, but he's not a mountain biker. They are two totally different disciplines, but I would say that it is easier to go from bmx to mtb than the other way. Is that a 1980 video or what!? Had to mute it but then I could appreciate the good riding! The best in the game!! I don't know if I'd call any of that jibbing. Doesn't it have to be on the street to be called street style? Fun watch, though. I gotta agree. 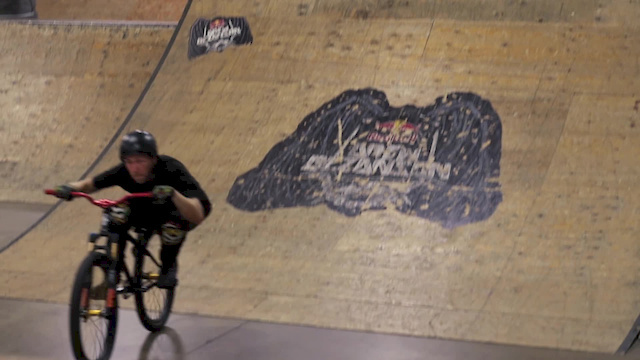 The riding is exceptional but it's an indoor skatepark session. Not really jibbing (whatever jibbing even is) and certainly not street. @codfather1234: it maybe refers to his street style. but this title is quite inappropriate..
Its just real easy to forget Matt. Don't think it really matters what bike you are riding, but upvote for the Drew Bezanson vid - that was incredible. The problem is that those bikes are stuck with a name that doesn't belong to them. They are being called mountain bikes because of the wheel size and front suspension, when in fact they are designed specifically for stunts, jumps, jibs, acrobatics, whatever you wanna call it. But now that I think of it, mountain bikes don't even have 26" anymore, so can these bikes finally get a name of their own ?